In 1816, Mrs Bettismore lies on her deathbed. Her twenty-year old granddaughter, Amelia is distraught by the imminent loss of her only relative, who has raised her in an atmosphere of seclusion and unyielding discipline. Amelia inherits her grandmother’s fortune, but after such a sheltered upbringing she finds herself lost and alone. Her emotional growth, stunted by Mrs Bettismore she is afraid to do or say anything of which her grandmother would disapprove. The heiress is unprepared for her introduction to Saunton, her guardian’s noisy household and his family of irrepressible sisters. Will this cause Amelia to retreat into herself even more, or will a home filled with love and high spirits change her outlook and encourage her to find love? Or do the long-hidden secrets of her birth threaten to spoil everything? Katherine Pym, Author of Erasmus T. Muddiman: A tale of Publick Disorder; Pillars of Avalon (with Jude Pitman) Canadian Brides Book 5, and other historical novels. A fatal tumour in the stomach? Seated in her grandmother’s private parlour, Amelia Carstairs stared at Doctor Cray almost unable to believe his diagnosis. He must be wrong. Grandmamma cannot be dying. She sank deeper into a wing chair upholstered in lemon yellow, one of her beloved grandmother’s favourite colours. Why did those treatments fail? Amelia trembled while she waited for the doctor’s reply. Alone, Amelia clenched her fists. If she sobbed her eyes and nose would redden and Grandmamma would ask why she had been crying. Unable to sit still she paced around the room until she halted in front of one of a pair of tall windows. She stared out at the bay. Fierce wind drove rain from a pewter-coloured sky against the glass. Beyond the esplanade, the dark grey sea advanced and retreated to and from the sweep of golden sand where, only yesterday, children made sand pies and castles. What would she do with no one to care for her and fulfil her every whim? Amelia sank onto the floor. She put her arms around her knees and rested her chin on them. Ever since her entry into polite society, she took pride in her immaculate appearance. Now, what did it matter if her white muslin dress creased? The person, whom she loved more than any of her words could express, would not be with her for much longer was the only significant thing. Thoughts whirled in her head. Nothing ever persuaded Grandmamma to abandon her wig and old-fashioned gowns. Her grandmother had told one critic. ‘In a small bodice and straight skirts, like some, who should know better, I’d look like a lumpy sack of potatoes’ Rich enough to snap her fingers in people’s faces, Grandmamma cared nothing for ridicule. The daughter of a London merchant, her education merely consisted of reading, writing and arithmetic and learning how to be a prudent housewife. Due to her wealth society tolerated her despite her common speech and manners. Only she appreciated her grandmother’s goodness and piety. How different her own life would have been if her father were not Oliver Carstairs, younger son of a baron. His marriage to her mother coupled with her grandmother’s fortune opened all but the highest stickler’s doors to her. So, again and again, Grandmamma chaperoned her at Almacks assembly rooms, and high society’s balls and routs even when her corns tortured her and she looked longingly at her bed. Amelia’s throat ached with the effort of holding back her tears. How could she have been so selfish, thinking only of her appearance and her own pleasure at dances where, after the quadrilles, country dances and waltzes, suppers with every delicacy imaginable were served while Grandmamma suffered? “Never! Even when you chastised me, it was for my own good.” From her chair Amelia reached out to clasp her grandmother’s thin hand. Her grandmother ignored her interruption. “I overindulged you. I should have insisted you marry a gentleman, who would protect you.” Her face a contorted mask of pain, Mrs Bettismore closed her eyes. Amelia thought of Sir Bartholomew, her maternal grandfather, who bequeathed all his considerable property to Grandmamma, which she did not want to inherit if it meant death. Tears down rolled down her cheeks. She wiped them away. With an unexpected burst of strength, Mrs Bettismore pushed the glass aside. The ruby red wine pooled on the gold silk counterpane. “No, don’t fuss, child,” her grandmother said with sudden energy. “There’s more important things than spilt wine. I’ve safeguarded you in my will, and given instructions to my secretary. He’s an honest man. You may trust him.” Her head lolled on the pile of lace-trimmed linen pillows. “There’s something very important I should have told you-” She broke off. Her breath rattled in her throat. “Grandmamma, what do you want to tell me?” Amelia trembled. She stared into the half-open eyes shining with love. At first, she did not realise they were sightless. When she understood her grandmother had left her body she covered her face with her hands and sobbed. On the morning after her grandmother’s death, Amelia Carstairs lay on the goose feather mattress of her tent bed, eyes swollen, her throat raw from crying. Nothing other than her grandmother’s death concerned her. “You must eat something, Miss,” Blythe said her voice hoarse. “No, food would choke me,” Amelia replied her eyes shut. Funeral! A dreadful word. She could not bear the idea of the body being committed to the grave. Until the last two months, when the tumour grew rapidly, sucking the life out of its victim, her grandmother had been so…so active, so exuberant and enthusiastic. Amelia could not tolerate an image of her alone in the cold, dark bowels of the earth for all eternity. Surely not. By now, Grandmamma must be in heaven. Amelia did not want her to be. She needed her here on earth to look after her. A sodden handkerchief clutched in her hand, tears poured down Amelia’s cheeks. She wanted to howl like a wolf she once saw and heard in a menagerie. A knock on the door. She buried her face in a pillow. “Come in, Mr Leigh,” Blythe said her voice gruff. Footsteps clicked on the parquet floor. Her hands still over her ears, Amelia could not block the sound of his well-modulated voice. Amelia did not need to open her eyes to know Blythe spoke. She recognised the determined tone. Unable to face the day she shook her head. Nothing could raise her spirits. She pushed her hair back from her face. “Miss Carstairs.” Mr Leigh bowed. Amelia sat up. Her nostrils flared. He should not be in her bedchamber. Apart from unimportant footmen, the only male who ever entered it was the doctor on the rare occasions when she had been ill.
“Not a viscount, his father is dead. He is now Earl of Saunton,” Leigh corrected her. She never again wanted to see the earl. After Napoleon escaped from Elba, Langley re-joined the army. A high-handed major, he had told her he expected her to accompany him to Brussels where he would join his regiment. She still shuddered at the memory of Saunton expecting her to follow the drum. Her drink spilled down the front of her crumpled muslin gown. “R…rats, Miss,” Blythe stuttered her face drained of colour, except for her puffy, red eyes. Those disgusting creatures! Soon after the rat catcher cleared the house of them than more arrived. The full meaning of Blythe’s explanation struck Amelia as hard as a blow. In reponse to her mental picture of the disgusting creatures feeding on her grandmother’s body she almost vomited. Shocked and sickened she widened her eyes in response to his explanation. “But I need more time to mourn Grandmamma and-” She broke off. “But she will need a shift,” Amelia protested. A maid carried a tray into the bedroom. 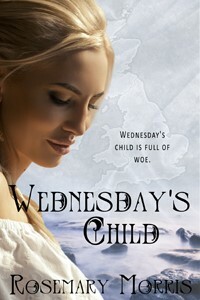 Amelia obeyed the affectionate, but firm, tone of voice she was familiar with childhood. Despite her misery, she accepted it was time to get up and try to get on with her life. With sympathy, Percy Marriot, the seventh Earl of Saunton’s secretary, glanced at the pile of bills the improvident sixth earl incurred. Loyal to the backbone to his employer, under whose command he served during the final conflict with Napoleon, he despised the late earl who had gambled until he faced bankruptcy. “Shame,” other card players muttered though they would never refuse a stake. Fate in the form of the young Duke of Midland’s intervention had spared the lady. Fortunately, an illness, which caused his hands to tremble too much to bet on the turn of a card, prevented the late earl losing Longwood Place, his family’s ancestral home. Percy admired his patron. On the verge of going to Belgium to join his regiment, Saunton arranged for the sale of his family’s heirlooms at Christie’s. Combined with his winning the lottery after the battle at Waterloo it saved Longwood for posterity. “Although I gave orders not to be disturbed, am I so formidable that you must hover nervously by my desk instead of speaking?” Saunton asked, his voice mild. The earl’s imperious dark eyes, set in a face weathered by years in the Iberian Peninsula fighting the French, might have intimidated someone who did not know him well. Yet even if there were some claims to the contrary, the earl was not top-lofty. Nevertheless, he knew how to stand on his dignity when necessary. Percy resisted an impulse to salute. “I apologise for disturbing you, sir, but a groom rode post haste from Weymouth to deliver this.” He handed the earl a letter. Saunton raised an eyebrow. “Do we know anyone who resides there?” he asked facetiously. Percy picked up a silver letter opener and held it out towards the earl. “May I suggest you open it?” Percy asked, aware of the necessity of scrutinising bills that arrived with monotonous regularity since the sixth earl’s demise over a year ago. The task bored his employer, who always refused his offers to deal with them and relieve him from the tedium. The earl broke the red wax seal. The letter was from an old-fashioned person who preferred dripping red candle wax onto folded paper to modern wafers. His lordship’s slanted eyebrows drew together across his forehead. “Hell and damnation!” Saunton threw the letter down onto a neat pile of unpaid bills. “Sir?” Percy knew better than to either reveal his surprise or comment on the rare occasions when the earl was out of countenance. Amused by the groom’s flamboyant peacock-blue and green livery laced with gold, Saunton regarded him. His thoughts disordered, Saunton walked to the pier table on which plain glass decanters and glasses stood. Foolish to regret the sale of the crystal and other family heirlooms auctioned at Christie’s. He removed the stopper from a bottle of brandy, poured a glass and drank the fiery liquid with appreciation. Too restless to return to his chair he paced the bare floorboards. The clicks made by the heels of his black, highly polished shoes irritated him. He stood still. Damn the responsibility thrust on him. Memory recalled Saunton to the occasion when Amelia Carstairs claimed she needed fresh air. To oblige her he led the acclaimed beauty from the over-heated ballroom onto a balcony. Later she admitted she had pretended to faint. Fooled, he caught her and supported her in his arms. Discovered in the compromising situation by her outraged grandmother and a gaggle of guests Miss Carstairs snared him. On the following day, he proposed marriage to preserve her good name. It did not take long for him to realise the eighteen-year-old’s main interest was her appearance, the latest fashions, and attending all the delights the London Season offered. In his opinion, her head had probably remained as empty as any one of his sisters’ beautiful dolls. And now, damn it-. Saunton replenished his glass with brandy. Confound it, in her long letter Mrs Bettismore explained she esteemed him because he allowed her granddaughter to end the betrothal. Outrageous! Since Helen Whitley, his closest friend’s sister-in-law, the only lady he ever loved married Captain Dalyrymple, he had never wished to replace her in his affection and he did not wish to do so now. Moreover, two healthy younger brothers meant he did not need to father an heir. Saunton paced up and down the library. Curse the vulgar Mrs Bettismore, he would not be outwitted by her from beyond the grave. He took several deep breaths to calm himself. Such anger and resentment might have cost him his life on the battlefield. Even now it would not serve him well. He halted in front of the window. Before him stretched the long drive. Absent-minded he noted it needed an additional layer of gravel to suppress weeds. There were never enough funds to provide for Mamma and his siblings, to restore the house, to overhaul the tenants’ farms, repair the farm labourer’s cottages, and make the home farm productive. To make matters worse he could never turn away an honest man in need of employment. ‘Yet,’ taunted his inner voice, ‘if you married Amelia Carstairs-’ “No!” The word exploded from him. ‘But if you were her husband,’ the silent voice continued, ‘you could solve all your monetary problems and provide your sisters with dowries large enough to ensure they married well’. Saunton ignored the devious voice. He must travel to Weymouth in the hope of arriving in time to attend Mrs Bettismore’s funeral. Afterwards, where and with whom would Miss Carstairs reside. It would be unthinkable for a young, unmarried lady to live without the companionship of a gentlewoman. His mother? Should he ask her to include his ward in her busy household? No, recently freed from obligatory mourning for his father, Mamma would be busy with her plans to present Charlotte at court during the next London season. In the meantime, with five other daughters to care for, he doubted she would welcome Miss Carstairs when she returned to Longwood Place. So, who could he turn to for advice? Of course, he would ask for help from Mrs Tarrant, the wife of his closest friend with whom he served in the army.